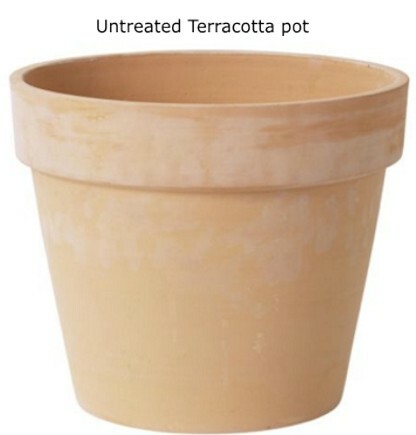 Terracotta - A fairly coarse, porous clay that, when fired, usually assumes a colour ranging from dull ochre (yellow to deep orange or brown) to red. 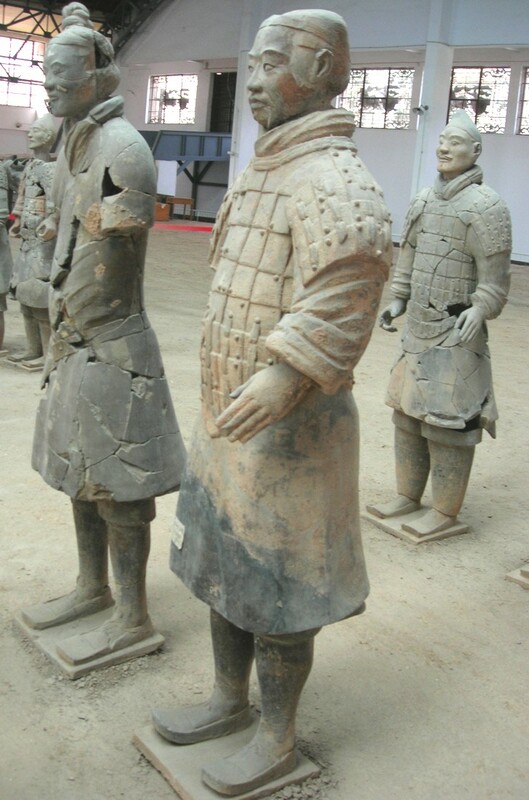 The statues of the infantry soldiers range between 5 foot 8 inches and 6 foot 2 inches; the commanders are 6 and half feet tall. 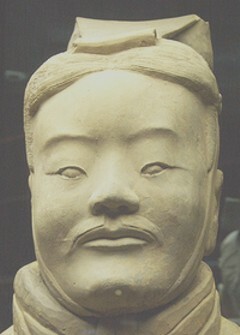 The lower half of the kiln-fired ceramic bodies were made of solid terracotta clay, the upper half hollow. 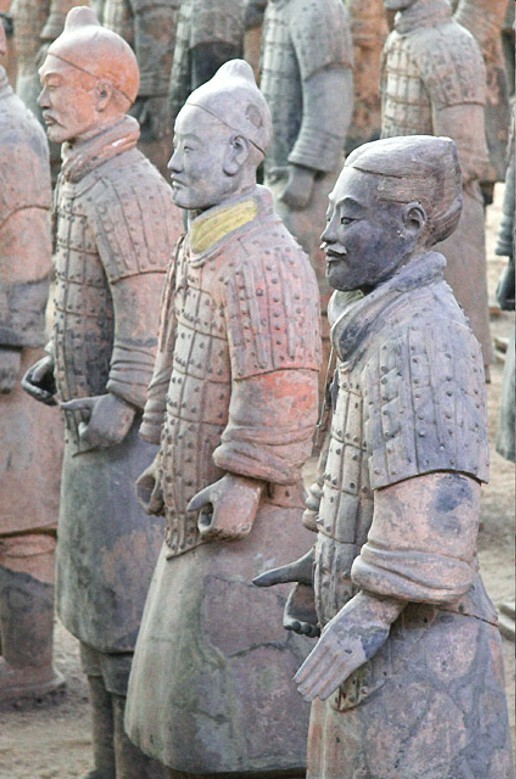 Terracotta Figures were found to be painted in red, green, blue, yellow, purple, brown, white, black, pink, vermilion, etc. The pigments were artificially produced from cinnabar, malachite and azurite as well as barium copper silicate. 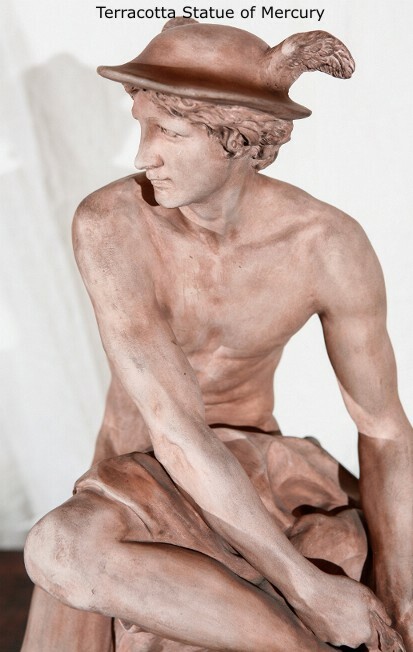 After the sculptures were baked in the kiln, they were first covered with a lacquer ground and then painted with pigments in one or two layers. 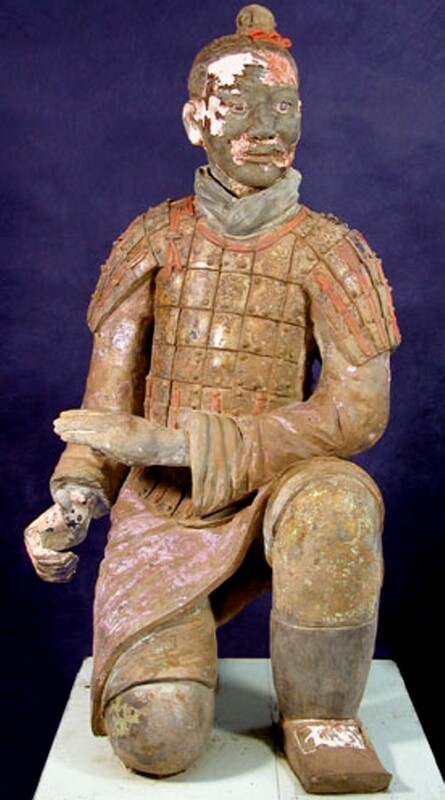 The terra-cotta figures have gone through a natural process of 2200 years decay, the lacquer cracks and peels off once the warriors were exposure to the air, taking any remaining pigment with it. 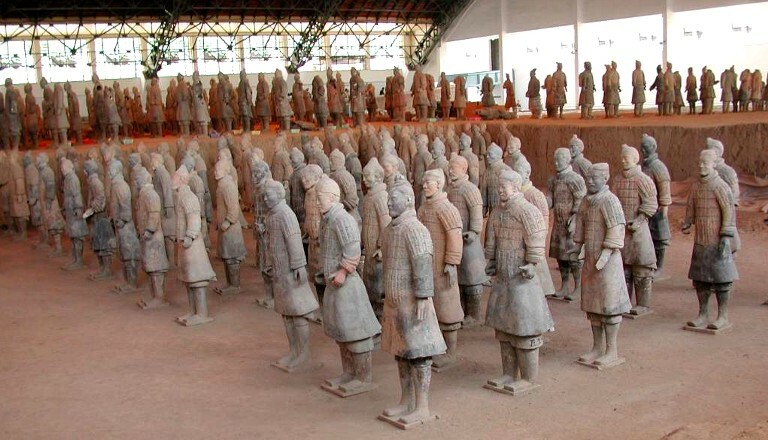 Following their accidental discovery in the 1970s the old soldiers have been carefully restored and preserved. 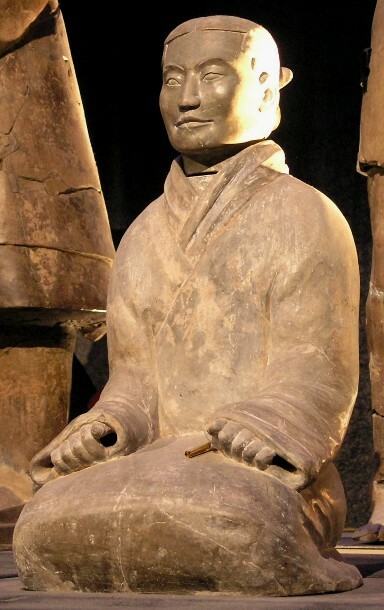 They look well for their age and this can be attributed largely to Wu Yongqi. 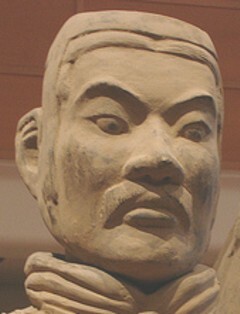 He is the Curator of the Museum of Qin Terracotta Warriors and Horses. 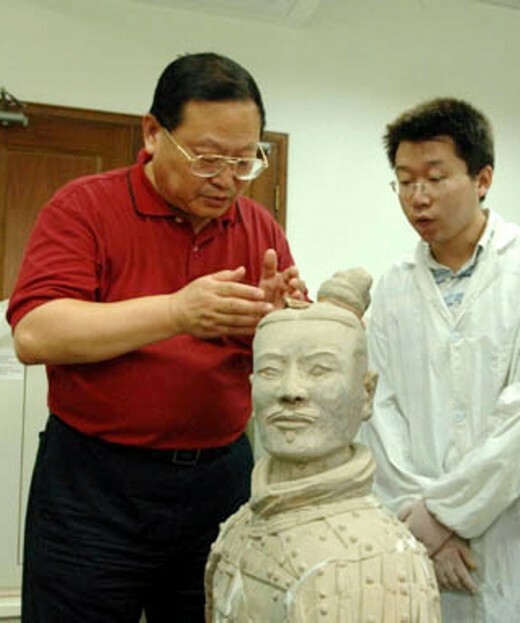 The preservation of terracotta warriors is no easy task. 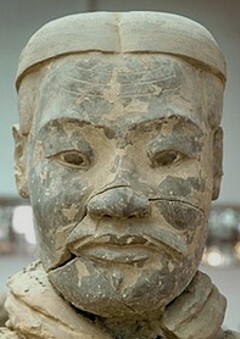 Most difficult of all is dealing with the colors, for originally all the terracotta warriors were painted. Many years spent underground has taken its toll on the ancient paint. Once excavated, what remains of the fragile coloring is lost within minutes of contact with the air. 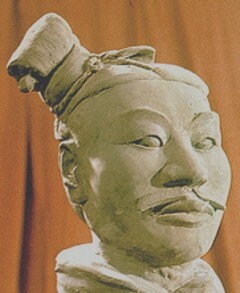 "Only when we restore the color can we say with confidence that a terracotta warrior has been preserved. 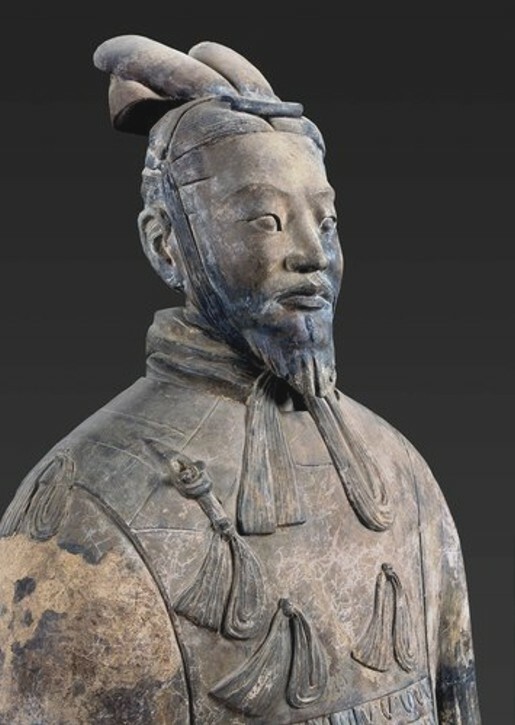 To address this problem, we set up a joint team of experts from the museum and the Bavarian State Department of Historical Monuments," says Wu. 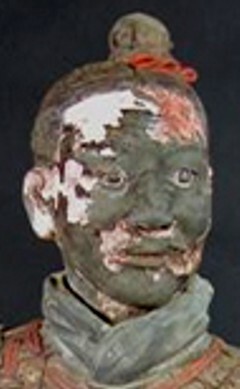 Plastic solution and particle accelerator revive faded Chinese figures. 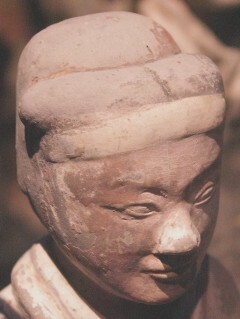 The life-sized terracotta figures were found buried in underground chambers near Xi'an, China, in 1974. The clay effigies lay buried in water-soaked soil. As the relics were cleaned on-site, experts found that the exposed paint would curl and fall off due to water loss. As the figures are exhumed, their sodden glaze starts to dry out. 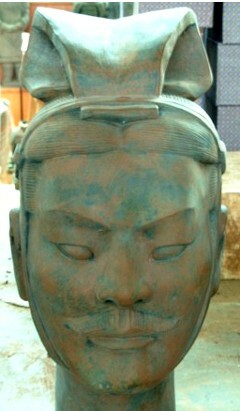 The brownish lacquer, covered with coloured pigments, begins to flake and fall off. Langhals' team bathes the warriors in a solution containing hydroxyethyl methacrylate (HEMA). The organic molecule, which is commonly used to make plastics, is small enough to penetrate tiny pores in the glaze. Next the soldiers journey to nearby Lintong, where they are bombarded with electrons in a particle accelerator. This converts the impregnated liquid into a robust polymer, bonding the fragile coating together like glue. Brief Introduction to Chinese Culture: Colors in Traditional Chinese Culture. Cai, it says, "All the shame, regret, joy and worries are called Yan Se (facial color)" because "one's heart reaches qi and qi will reach the eyebrows." 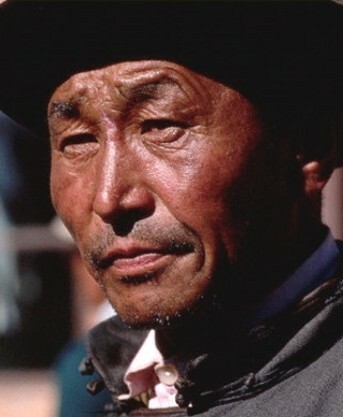 So it is obvious that initially "Yan Se" referred to one's facial color and not the color of everything in the world. 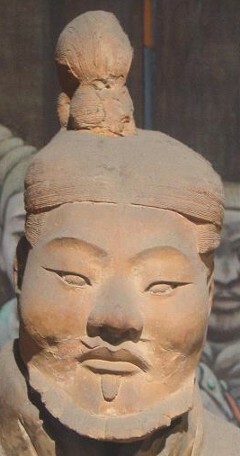 Only in the Tang Dynasty did "Yan Se" start to carry the meaning of all colors. For example, Du Fu, a poet of the Tang Dynasty wrote in his poem "The Bottoms of the Flowers," "Knowing the good colors clearly, and do not be content with being sand or mud." The Chinese idiom "Wu (five) Yan Liu (six) Se," which is used to describe a myriad of colors, also reflects the meaning that "Yan Se" means colors. 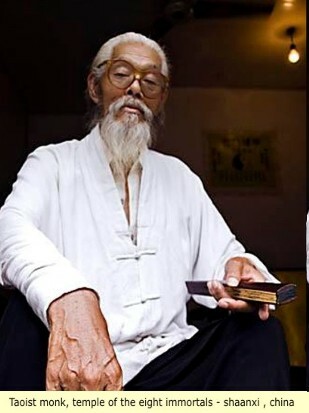 which guided the natural movement of heaven and the heavenly Dao. People also selected their attire, food, transportation and housing according to the natural changes in the seasons, going from spring, to summer, to autumn, and then to winter, which further formed the theory of five colors. In the traditional Chinese system, five colors, black, red, greenish blue, white and yellow are regarded as standard colors. the Taiji diagram of ancient China, black and white are used to represent the unity of Yin and Yang. In the ancient Chinese concepts of color, the color white represents multiple things. In the theory of "Five Elements", white corresponds to gold, which shows that the ancient Chinese people felt that the color white symbolizes brightness and classifies it as a standard color, representing the nature of purity, brightness and fullness. The color yellow is the color of the center, symbolizing the color of the earth. 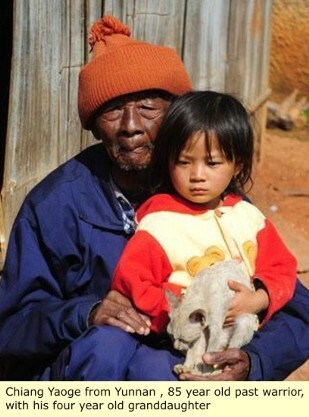 In China, there is a saying, "Yellow generates Yin and Yang," regarding yellow as the center of all colors. Yellow is the orthodox color positioned in the center and is the color of neutrality. It is placed above the color brown and regarded as the most beautiful color of all. The color green-blue symbolizes the spring when everything is brimming over with vigor and vitality. 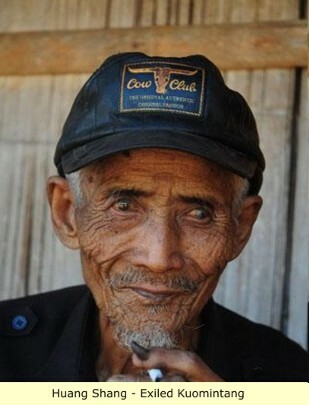 said that "five colors make people blind," so the Dao School chose black as the symbol of the Dao. represented by black, guarded by a black tortoise, and its direction was north. 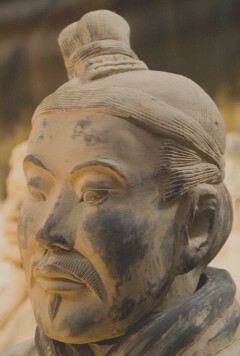 The color yellow was the symbolic color of the five legendary emperors of ancient China. 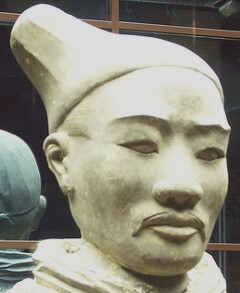 In China, yellow had a special symbolic meaning and was the center of the five colors, symbolizing the color of earth. 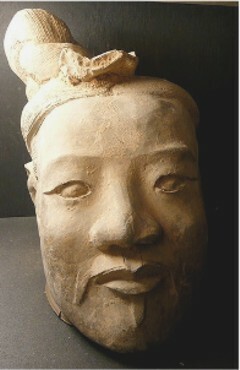 In 211 B. C., Qin Shi Huang unified China. He still followed his ancestors' traditions by observing objects and deciding symbols, distinguished black from white, respected the virtue of water and "decided that October was the beginning of winter and its color was a superior black." 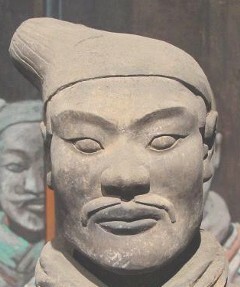 When Qin Shi Huang ascended to the throne, "the color of the clothing and flags was black." 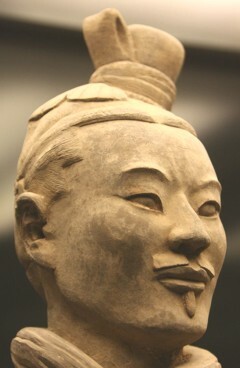 Since the Qin dynasty, color gradually assumed a decorative function and the colors of ancient China also started their rich and colorful development. Throughout the dynasties after the Han Dynasty, yellow became the special symbolic color of the royal court because of its brilliance, and its shade was close to the golden color. Ordinary people were not allowed to wear yellow clothes. 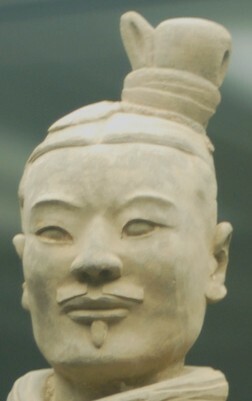 Throughout all the dynasties, clothing for officials of different ranks were also of different colors. Usually, people regarded the five secondary colors as the inferior five colors. 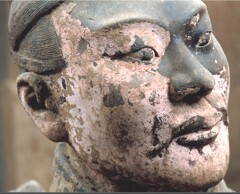 During the Han Dynasty, bright purple was often regarded as an extremely precious and rare color. 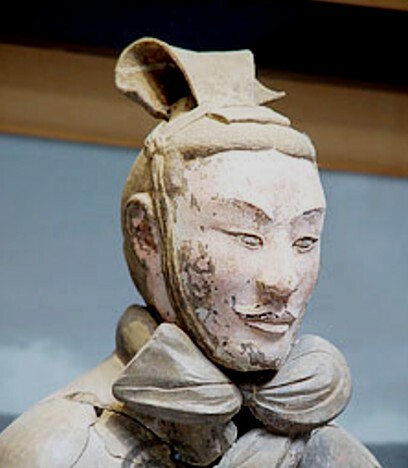 In the Tang dynasty, the color purple was used in the clothing of officials ranking above the "fifth class" and was a color favored by royal court members. Purple borders were considered elegant. 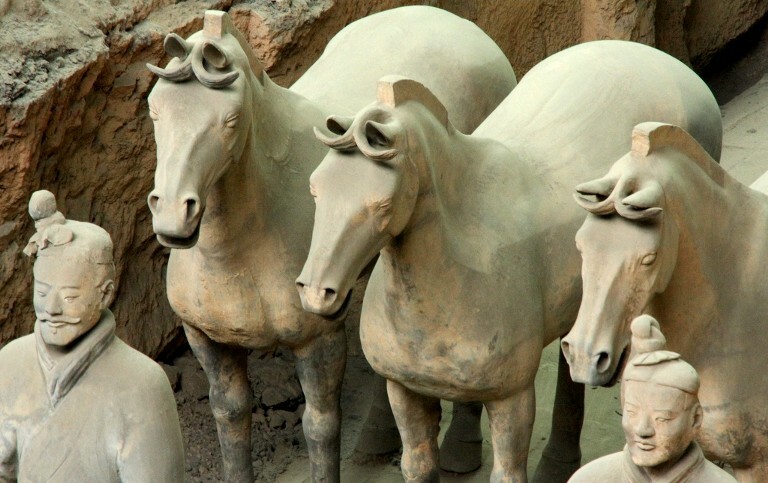 In the Dun Huang Caves, dating back 1500 years, there are more than ten thousand pieces of rare murals. The colors uses in the murals of different periods of time are different. 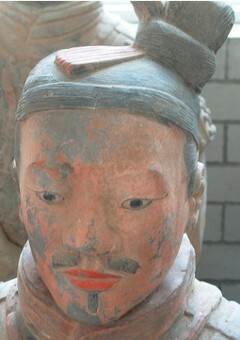 For example, in the murals painted during the Northern Wei Dynasty, red and brown were the main colors, supplemented by blue and black. In the murals painted during the Tang Dynasty, yellow was added as a major color, and the application of the colors was also varied, bright and magnificent. In the murals painted during the Song Dynasty, blue and green were the dominant colors. Today many puzzles still surround these statues. 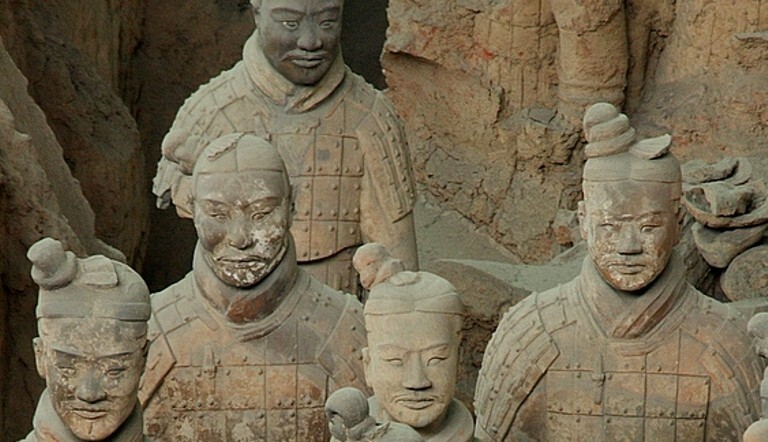 One of the most intriguing of these mysteries is the origin of a synthetic purple pigment, often called "Chinese purple" or "Han purple," that their ancient creators used to adorn the soldiers and their accessories. Until the 19th century, most pigments were made from naturally occurring minerals or organic dyes. One well-known exception is "Egyptian blue," which is chemically very similar to the Chinese purple. 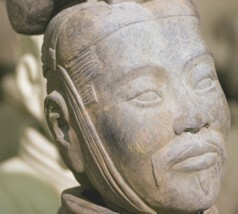 Because the Egyptian and Chinese pigments are so chemically close in composition, some have proposed that the technology to create Chinese purple was in fact derived from the Egyptians. If that were so, Chinese purple would represent one of the earliest known cases of cross-cultural technology transfer, dating to a period before the Silk Road opened China to the west, even before the invention of paper or the compass. To test this hypothesis, SSRL researchers Zhi Liu, Apurva Mehta and colleagues from Stanford University, the Advanced Light Source and China used a series of synchrotron-based x-ray techniques, in particular micro-x-ray diffraction and micro-x-ray fluorescence, to characterize the exact chemical make-up of the pigments in Chinese purple as found on the statue above. Liu found that deep within the structure of Egyptian blue, calcium plays a key role in the pigments' molecular identity, whereas in Chinese purple, that same slot is filled by the element barium. 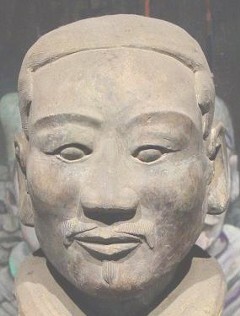 Liu concluded that, based on this difference, and despite the two pigments' structural similarity, Chinese artisans invented Chinese purple independently of Egyptian influence. 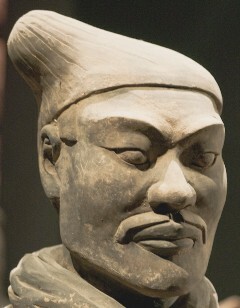 Recently published findings have put the origin of China’s famous Terracotta Warriors into question. 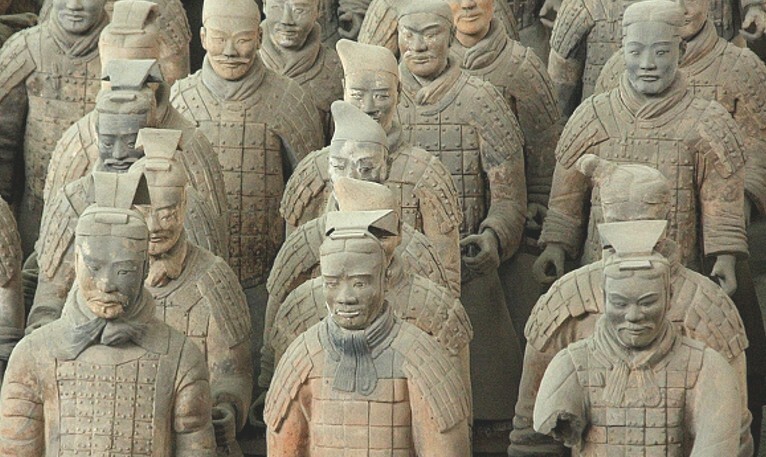 Considered an “Eighth Wonder of the World,” the army of thousands of hand crafted life-size soldiers has longed thought to have been constructed as Emperor Qin Shihuang’s (259-210BC) guardians for the afterlife. 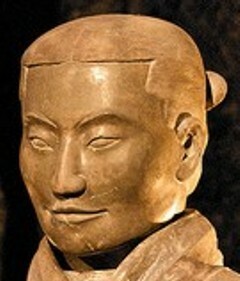 However, historian and architect Chen Jingyuan believes that Qin’s ancestor, Empress Xuan (?-265BC), who died 55 years before Qin, was in fact the mastermind behind the army. 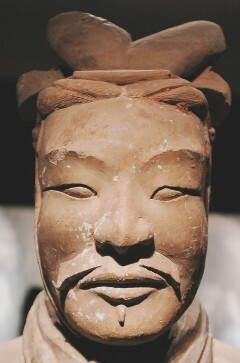 Chen’s book, TheTruth of Terracotta Warriors, outlines 63 examples illustrating his belief. 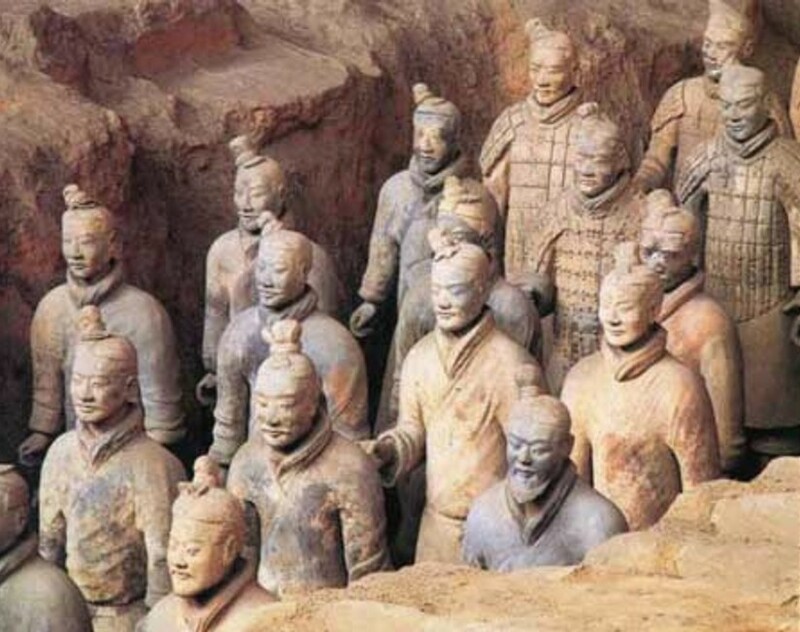 “For instance, the distance between the Terracotta Warriors and the mausoleum of Emperor Qin Shihuang is as long as 1.5 kilometers and the distance between the centers of the two places is even further. 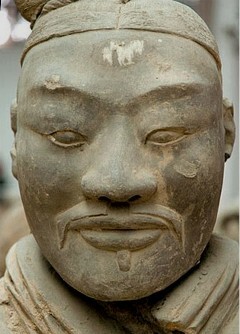 It is strange that the funeral objects are so far away from the mausoleum,” Chen told the Global Times. He explained that besides this, details of the warriors, such as the unique hair knots on one side of their heads, their colorful clothes and the various wheelbases of the chariots put the current time frame in doubt. 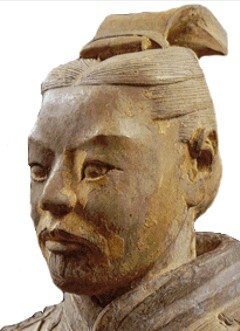 “The hairstyle, the ancient Chinese characters found on some unearthed warriors and other evidence indicate the owner of the warriors was Empress Xuan,” Chen said. 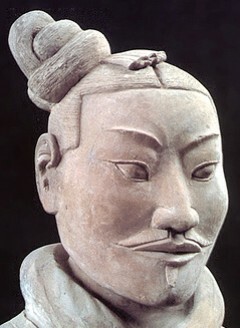 In Chen’s point of view the hairstyle of the warrior’s is the same as the Chu minority, the ethnicity of the Empress. 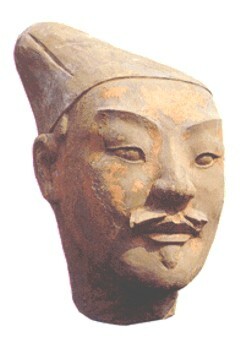 Chen said if Emperor Qin had designed the army, they would be dressed in Han style. 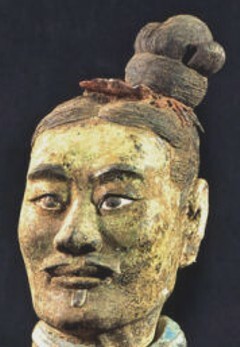 The clothes of the warriors are also important, Chen explained. 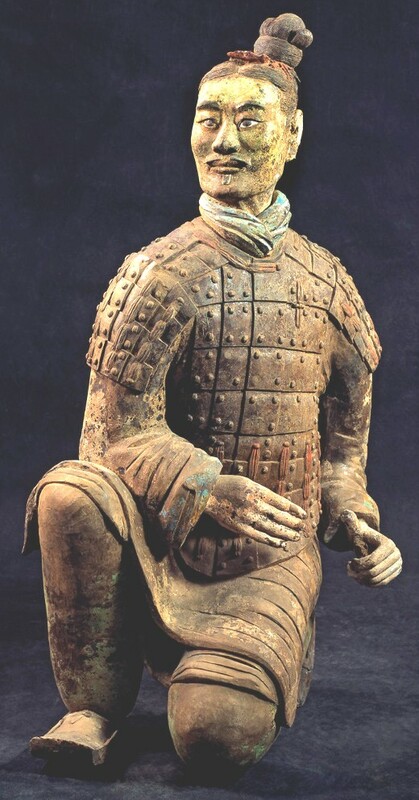 He said that the warriors were painted in many different colors, which is in stark contrast to the black-clothed soldiers of the Qin Dynasty. 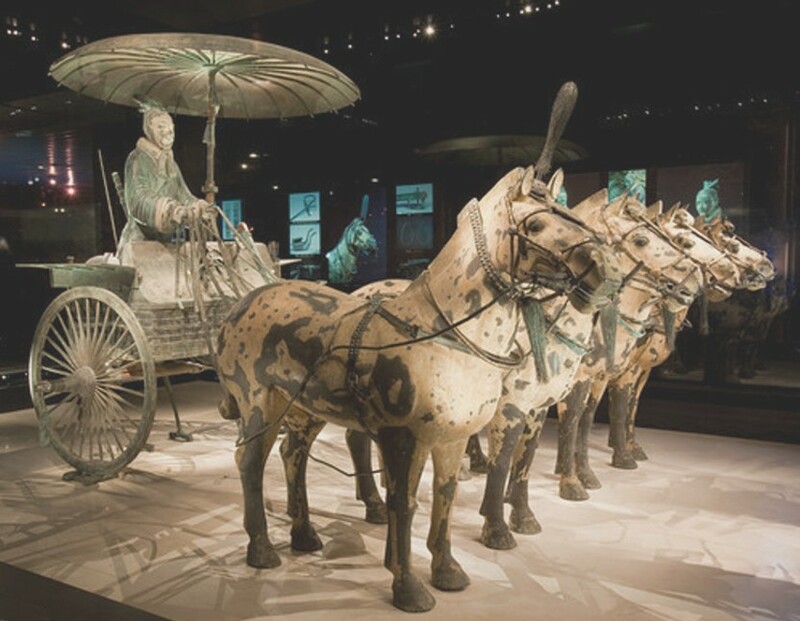 Chen added that small details such as the wheels on the chariots indicate that they are not war chariots, but ones for everyday use. “Empress Xuan, the so called ‘Empress Dowager Cixi of ancient times,’ was once one of the most powerful woman in China’s history. 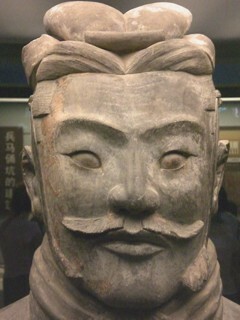 During her reign, the Qin State was thriving and flourishing. This prosperity of the State meant that this powerful women had enough money to conduct such a huge project,” Chen explained. 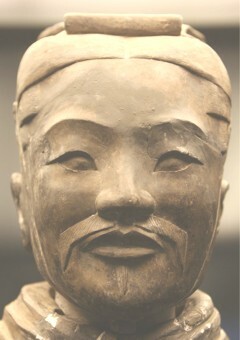 Despite Chen’s convictions, few agree with his stance. 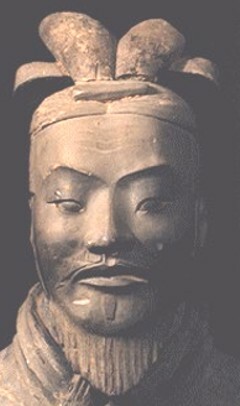 “There are three strong pieces of evidence indicating that the warrior’s owner was Emperor Qin Shihuang. 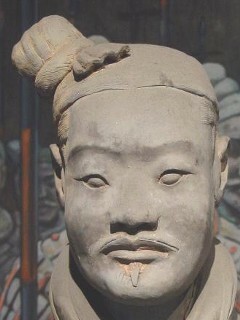 First, the pit of the warriors is within the territory of Emperor Qin’s mausoleum. 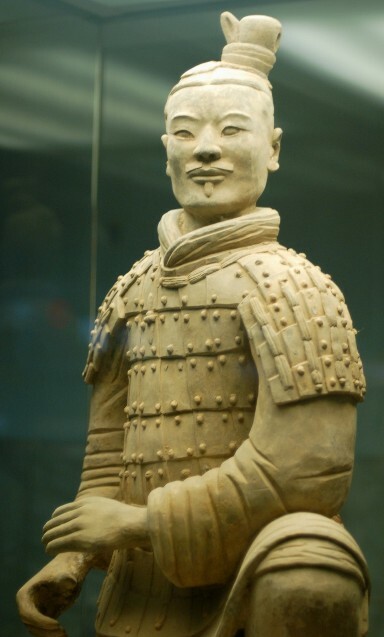 Second, the weapons are inscribed with the words ‘Lu Buwei’ (the prime minister of the Qin Dynasty). 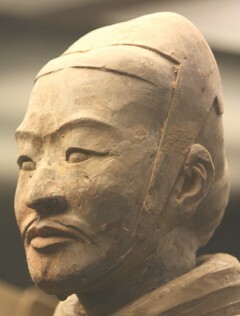 Third, the architectural style and the earth analysis show that the warriors share the same characteristics as the Stone Armor Pit and Bronze Chariot and Horse Pit, which are verified parts of the mausoleum,” Liu Zhancheng, head of the Terracotta Warrior’s archaeological team told the Global Times. 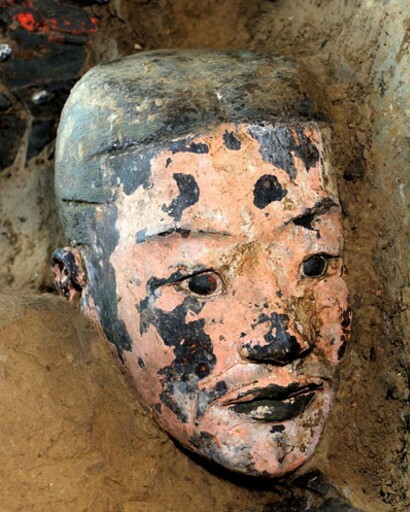 “According to the material collection and relics analysis, the area of the entire mausoleum is as large as 56.25 square kilometers and the pit of the warriors is within this territory. 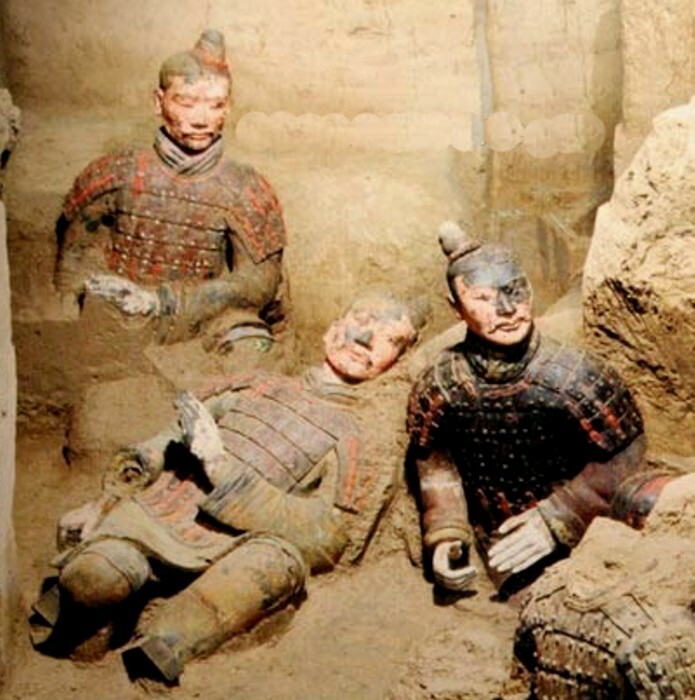 What’s more, as parts of the mausoleum, many other verified Qin Dynasty funeral object pits are also a comparative long distance away from the mausoleum. 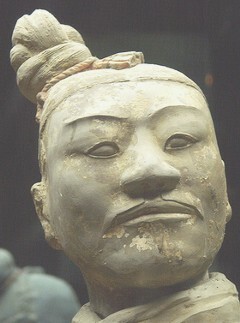 Therefore, there is nothing unusual about the location of the warrior pits,” Liu added.